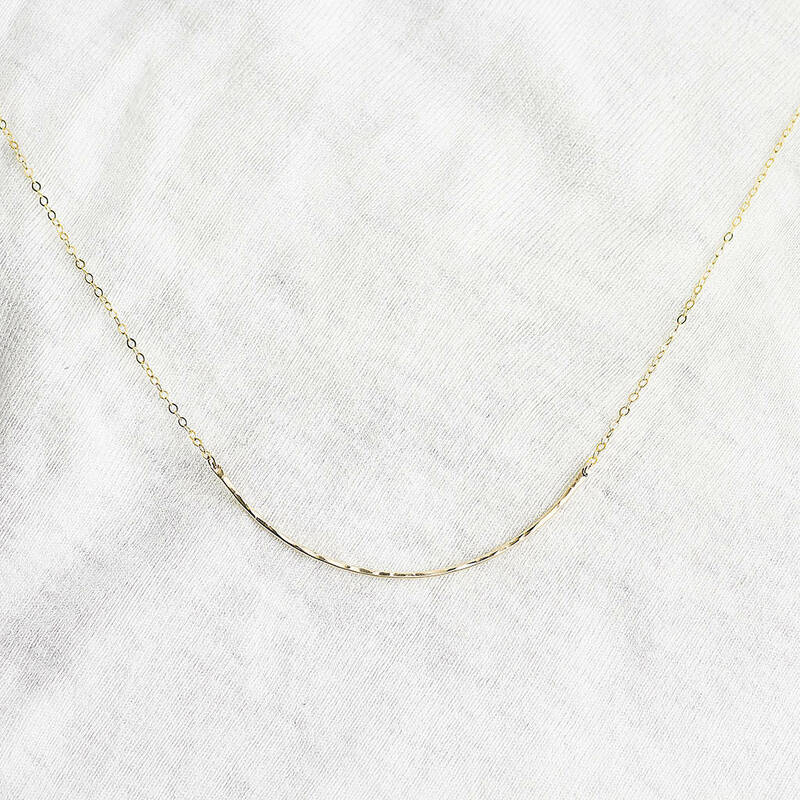 A curved hammered bar necklace in 14k gold fill, rose gold fill and sterling silver. 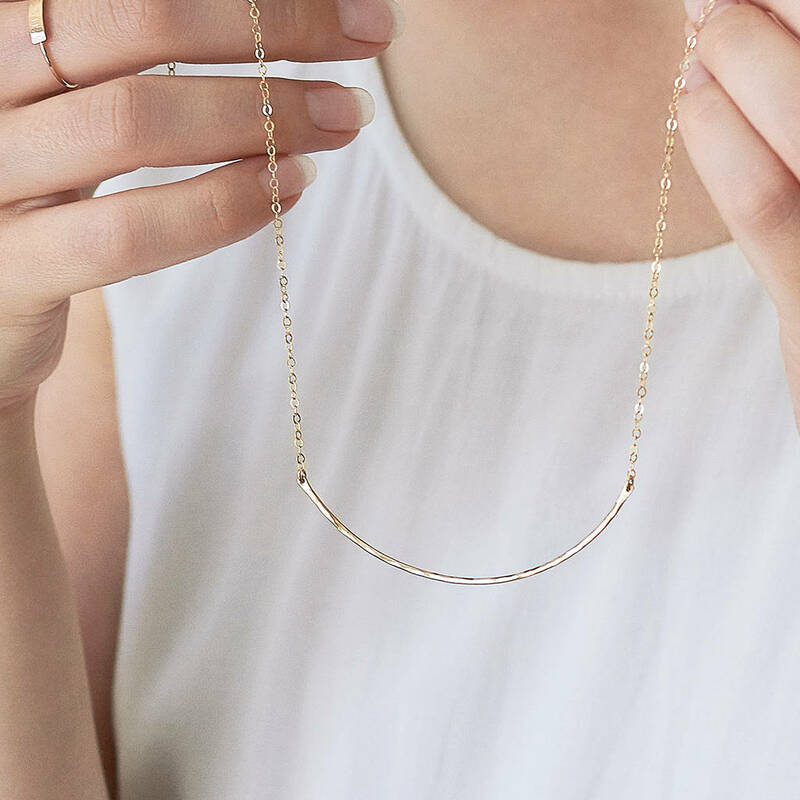 Versatile and minimal, this beautiful hand formed necklace is easy to wear with any outfit. All jewellery is handmade by Sarah in her Leicestershire studio and presented in a Minetta box, ready for gift giving. Beautifully packaged in a Minetta box ready for gift giving. 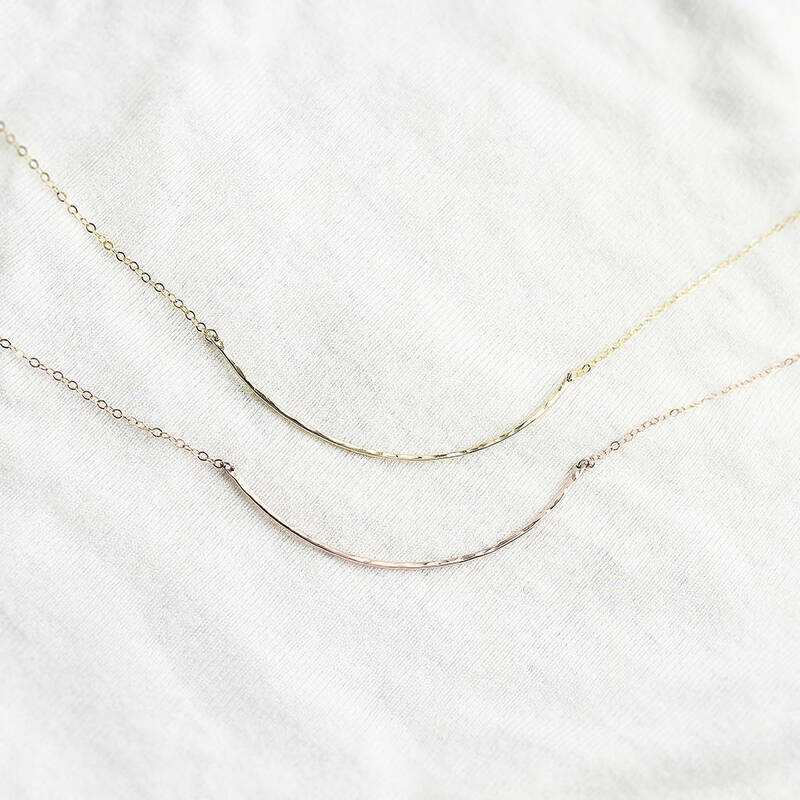 All components are 14k gold fill /14k rose gold fill / sterling silver. Bar measures approx 7cm across. This product is dispatched to you by Minetta Jewellery.